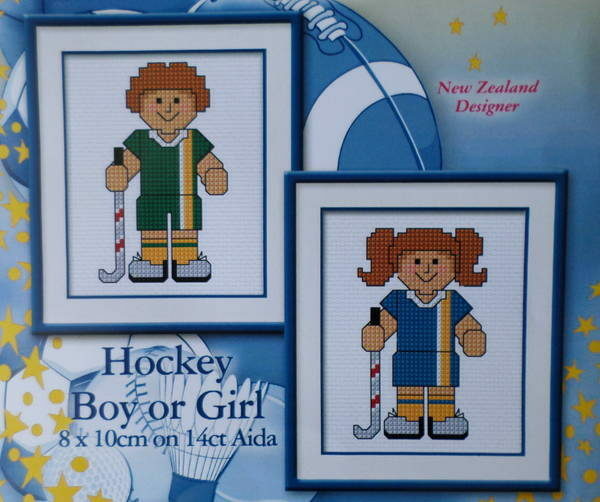 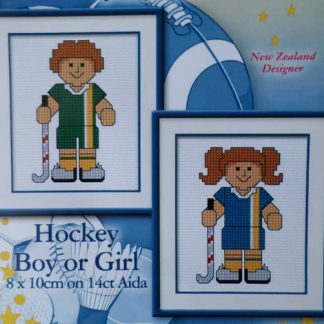 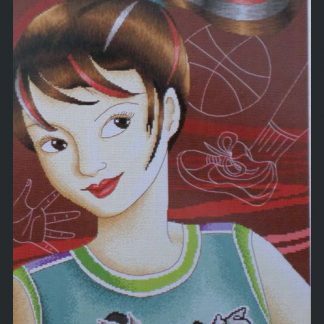 ‘A Bit of a Doddle’ An easy, quick to stitch cross stitch kit suitable for children, of a boy & a girl hockey player. 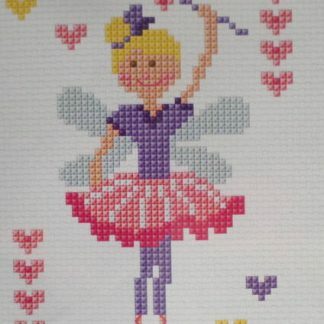 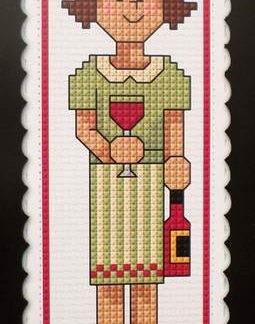 The kit comes complete with 14 count Aida fabric, DMC cotton threads, a needle, easy to follow chart and instructions. 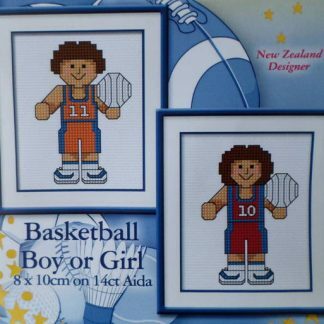 Designer is New Zealander Lisa Johnston. 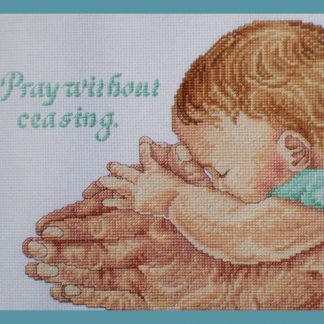 Finished size is 8 x 10 cm.